In comparison with some other antenna systems, the ClearStream4 HDTV TV antenna successfully receives 98% of the signal. It also features a patented Loop ClearStream­™ construction that provides a wide frequency range. 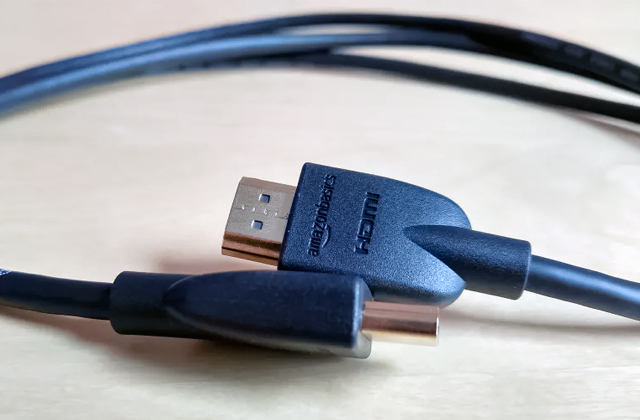 The coaxial cable for TV connection should be purchased separately. This top TV antenna supports UHD 4K and is overall one of the best solutions for both outdoor and indoor installment. 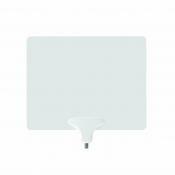 18" x 28" x 8"
This digital TV antenna features a signal amplifier and a large range of VHF receive frequency up to 230MHz. It allows you to receive a large number of digital channels depending on your location and has an attractive, slim design. You might need to look for the best place for a signal reception in your house before permanent installation. A good digital TV antenna with an amplified signal reception lets you watch many digital TV channels in your region for free. 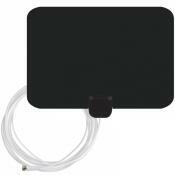 13.7" x 9.8" x 2.1"
This HDTV TV antenna is mounted outdoor for better reception and is delivered with a long cord. The construction is 360°-rotatable with a remote control. It's also weatherproof. The mount may require some skills. 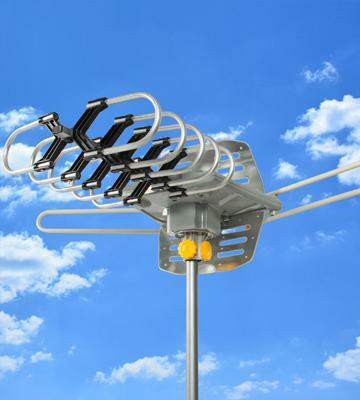 An easy to control cable TV antenna, perfect for outdoor use and with an enhanced receiving range. This digital antenna features compact design with a convenient cable length. It provides excellent range and quality of reception. 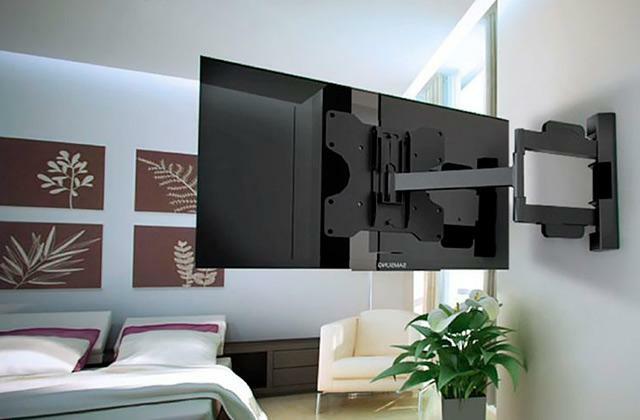 The indoor TV antenna is paintable to fit any interior. The signal may lose its strength with an obstacle in the way. This is the best TV antenna with regard to the mount and high-quality signal reception within a long-range distance from a TV tower. 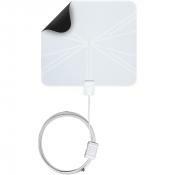 1.8" x 12.5" x 11.5"
This TV antenna can work both from the mains and from a USB port of your TV-set. 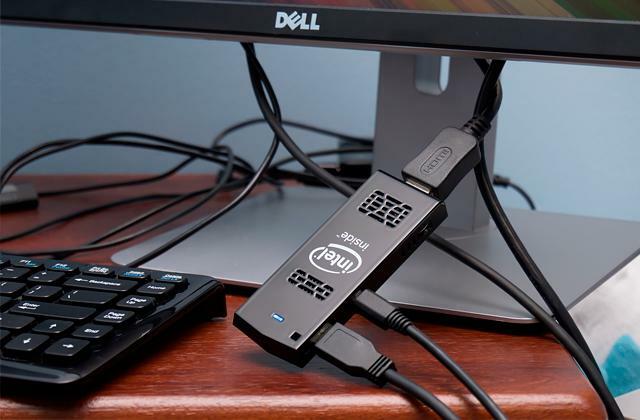 Handy, if a socket is placed far from the screen and you'd like to reduce the number of wires that may get in the way. So if your TV supports USB connection, feel free to use this option. It should be mounted on a flat surface. 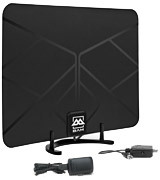 Compact and inexpensive, the BAM 4330082172 amplified indoor antenna will be the best bet for anyone looking for an effective means of carrying high-quality HD signal to their TV-sets. Thanks to a stylish design, the antenna will blend ideally into any interior. 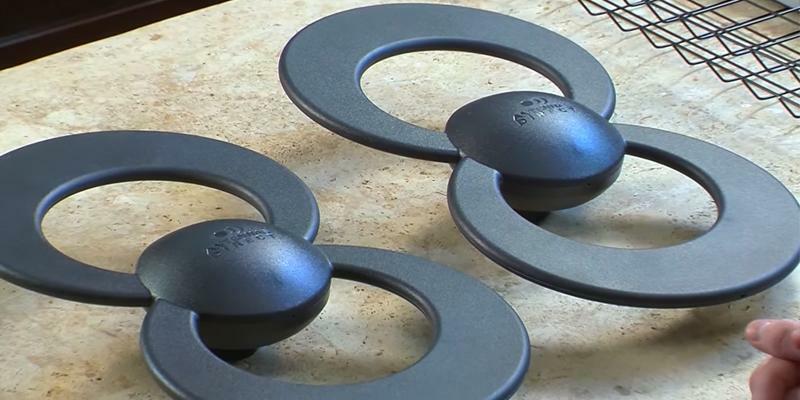 ~13" x 10" x 2"
The ClearStream 4 is a really universal TV antenna, you can install it outdoors and indoors alike. With this TV antenna, you will receive TV signal in a Full HD resolution 1080 and even UHD 4K Ready where available. The patented Loop ClearStream™ technology provides a wide frequency rate and a wide beam angle, so you won't need to rotate the antenna. Also, the reflector creates a focus for the antenna power to add range and protect the signal from multipath interference. To top it all, we would like to point out that the ClearStream 4 TV antenna is really easy to mount, you will only need a mount and a mounting hardware, and they are included in the package. 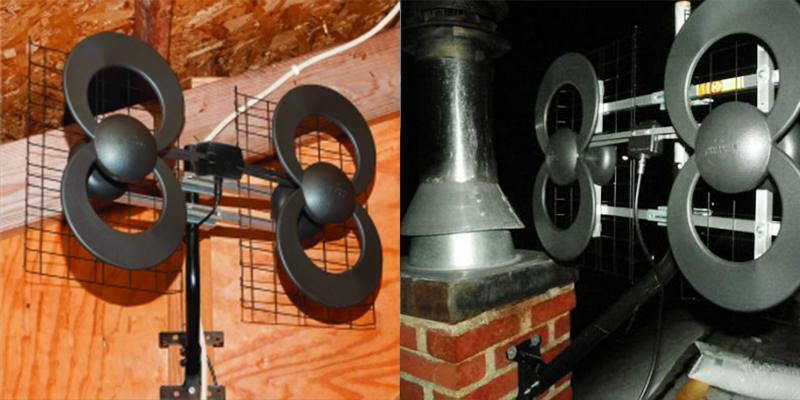 Catch your signals wherever your antenna is, outdoors on the roof or indoors hanging on a wall. When you choose a TV antenna, look at its shape. The first thought is — how could it affect the performance? Well, there is an opinion that it can! Some experts, for example, say that the gain of the round loop antenna is higher than that of a square one, and the highest gain belongs to the ellipse-shaped antennas with the diameters ratio of 1:3. The reason, they say, is that the round and ellipse shapes have no corners which may create reflective waves and thus worsen antenna's reception. 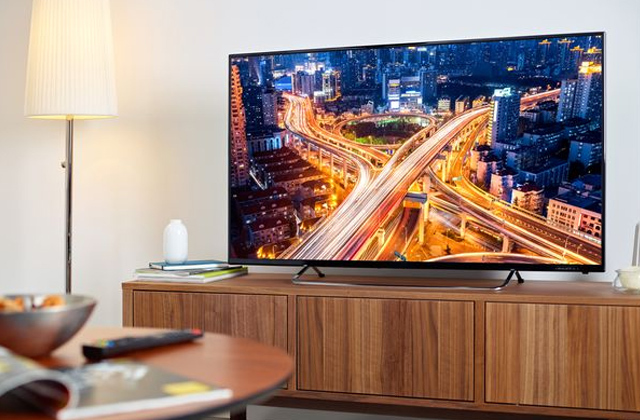 Taking into account the information above, we'd say that the ClearStream 4 is one of the best options offered on the market as it complies with the recommendations. It is highly efficient when it comes to the signal reception and strengthening. The radius this TV antenna operates at is 70 miles from the broadcast towers at UFH frequencies even without the amplifier. And the quality will be top-notch. The ViewTV Coaxial Cable is a high-quality coaxial cable 50 ft in length that can be used indoors as well as outdoors. A perfect choice for this TV antenna. 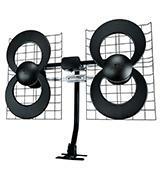 Antennas Direct ClearStream 4 (C4-CJM): 28.2 in. 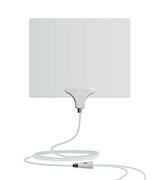 1byone Amplified HDTV Antenna: 9.3 in. Best Choice Products SKY1666: 13.5 in. Mohu Leaf 50: 12.5 in. Reception is very clear and trouble-free. Its small size is within the range that permits mounting outdoors. This does much better than expected. I live out in the county surrounded by trees. I was expecting to only get a few local channels for the news at best, but I get around 30+ HD channel. I have this place in the attic of my home pointed toward the city. 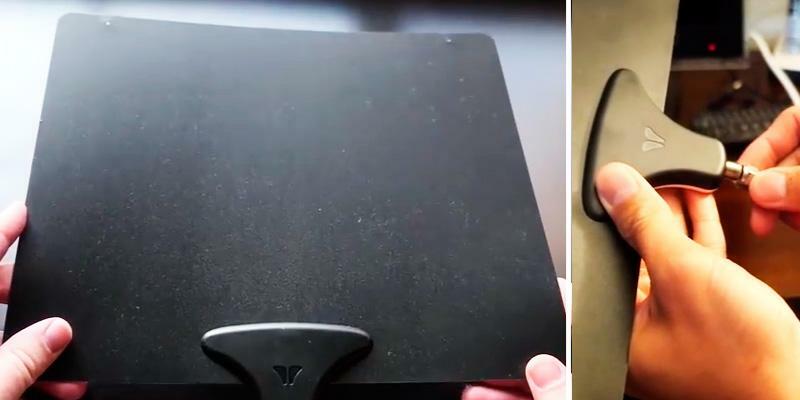 The 1byone Amplified HDTV Antenna is a digital indoor TV antenna which is designed for use inside a house or apartment. 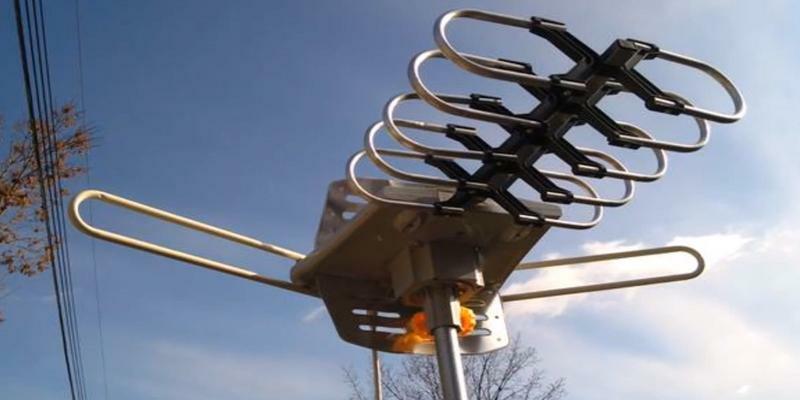 It features a signal amplifier and is able to receive signals within a radius of about 35 miles from the broadcasting television tower. With this digital antenna you can forget about the paid satellite and cable TV and enjoy watching all the local digital channels absolutely for free. This digital antenna has an active adapter for power amplification, which will provide the best video signal reception by enhancing the signal up to 7dB. The range of reproduced frequencies includes FM, VHF 47-230MHz, UHF 470-862MHz, making it the best TV antenna to receive free television broadcasts of high-definition TV channels such as ABC, CBS, NBC, PBS, and Fox. 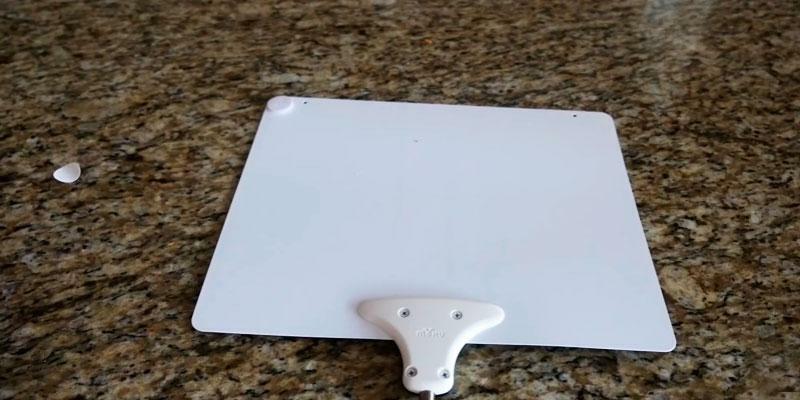 1byone Amplified HDTV Antenna provides up to 1080p HD broadcast format that allows you to enjoy clear, high-quality picture of your favorite shows and programs. 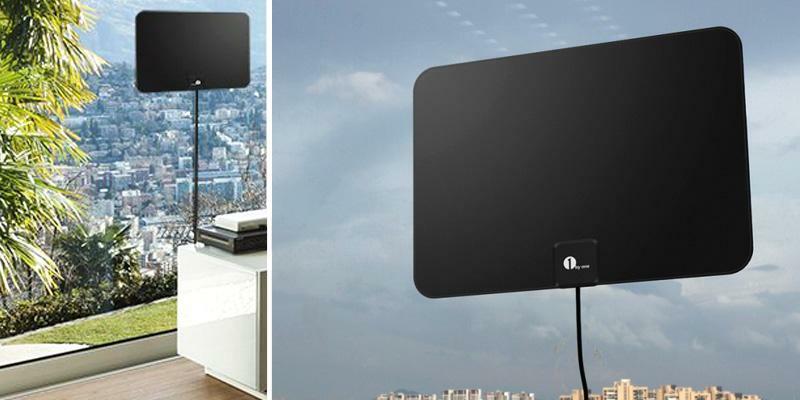 The 1byone Amplified HDTV Antenna features very soft, comfortable and lightweight design. 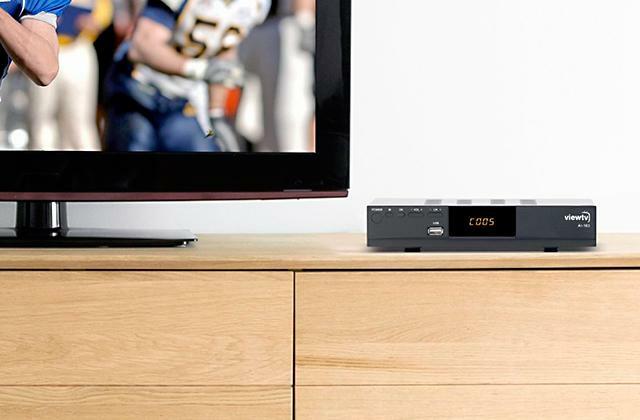 The design of the digital antenna and its 10 ft coaxial cable will allow you to easily hide it behind the TV, put it on a table or install it on the window (note that this may result in exposure to direct sunlight). 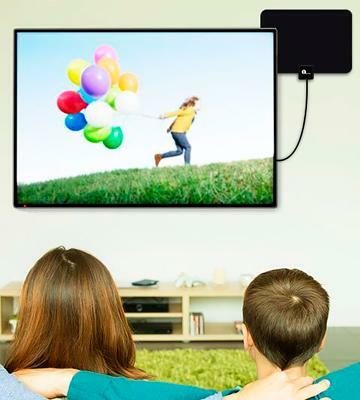 In comparison with other antennas, this indoor TV antenna has a slightly larger size of 13.7 x 9.8 x 2.1 inches and weight of 32 ounces. Its power amplifier provides 12V, 50mA voltage and cable resistance is 75 ohms. Antennas Direct ClearStream 4 (C4-CJM): 6.3 in. 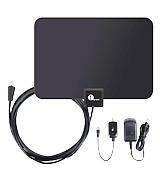 1byone Amplified HDTV Antenna: 0.2 in. Best Choice Products SKY1666: 3.5 in. 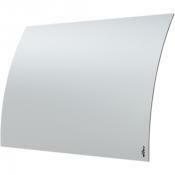 Mohu Leaf 50: 1.8 in. This a directional antenna, this means that you will need to point it in the direction of the station. With this antenna you will need to be within 20 miles for a strong signal. It's paper thin and about the same size as a desk top computer mouse pad. This is the best indoor antenna that I've tried so far. 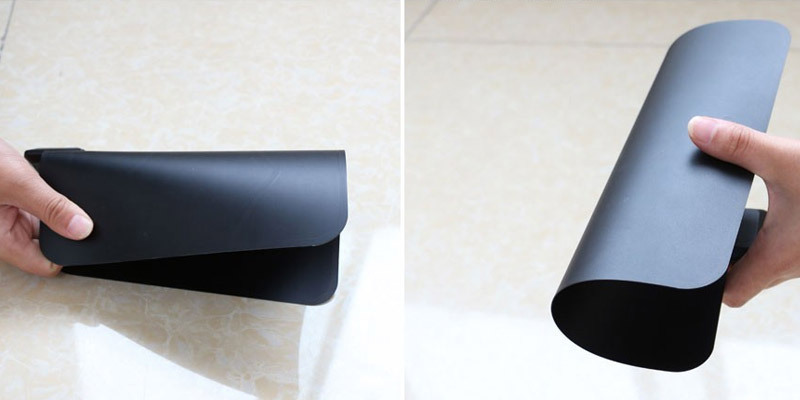 This digital antenna is designed for outdoor mounting. You can install it on the roof of your house or in the attic. Whether the weather be fine or whether the weather be not, this device will provide a high-quality signal receiving and processing. Owing to the durable design and material, this model is able to withstand hard outdoor conditions. The range of the signal it can receive is around 150 miles, which one of the largest among its peers. 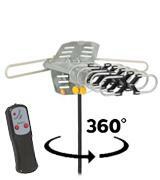 The Best Choice Products HDTV Rotor Remote Outdoor Amplified Antenna supports all digital and analog TV frequencies, including FM, VHF, and UHF. The cross-phase multi-element design provides for better signal processing, so you will have more high-definition 1080 and 720 TV channels. 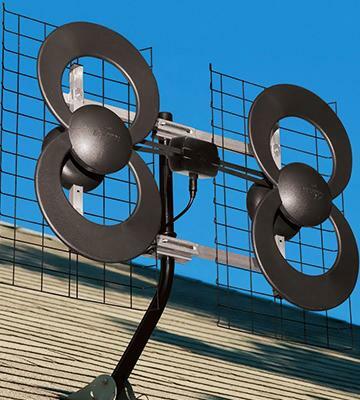 This outdoor digital antenna has an embedded amplifier with up to 36 dB power to effectively suppress the static. Also, note the wide range of the frequencies it can receive, it's from 40 to 890 MHz. That's many digital and analog channels. The antenna is delivered disassembled, but do not worry as its assembling won't take all that much of your time. And as for the installation, it is mounted on a pole up to 1” in diameter (pole not included). Another distinction is that this top TV antenna can be controlled via a remote control that comes with the purchase. The remote control allows you to rotate the cable TV antenna 360°, which undoubtedly affects the convenience in a good way and simplifies the channels setting. The size of the device is 15" x 13.5" x 3.5", and the weight is approximately 4.4 pounds. 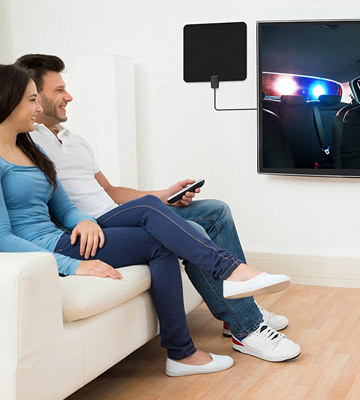 With its durable design, this digital TV antenna will serve for a long time. 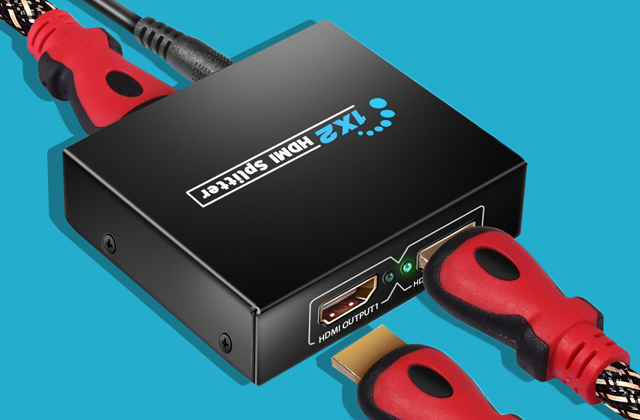 We have recommended this product to everyone and know of a few friends who have also purchased this product after seeing how clearly the hd signal comes in from over 90 miles away. Picks up well and is light weight and compact. I purchased this for use in our outdoor patio instead of running cable out there. It works great and picks up stations about 35 miles from us. A lot cheaper than paying for another cable box. 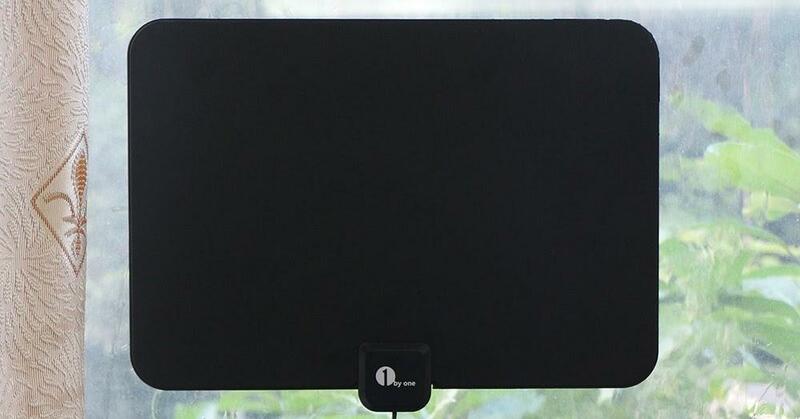 The Mohu Leaf 50 TV Antenna is an indoor TV antenna. Thanks to its slim thoughtful design, it will look good almost anywhere in your house. Unlike cable or satellite television, this digital TV antenna allows you to receive many TV channels, including ABC, CBS, NBC, PBS, Fox, Univision and many other channels, without monthly payment or subscription. 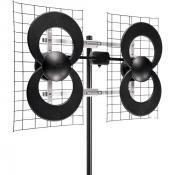 With reception radius up to 50 miles, this omnidirectional HDTV TV antenna is a top TV antenna in its class. The Mohu Leaf 50 digital antenna comes with a signal amplifier that perfectly reduces the noises and ensures clarity of the signal. Thanks to CleanPeak filtering technology, the amplifier filters out cell and FM signals, allowing you to get a clearer picture and increase the number of received TV channels. 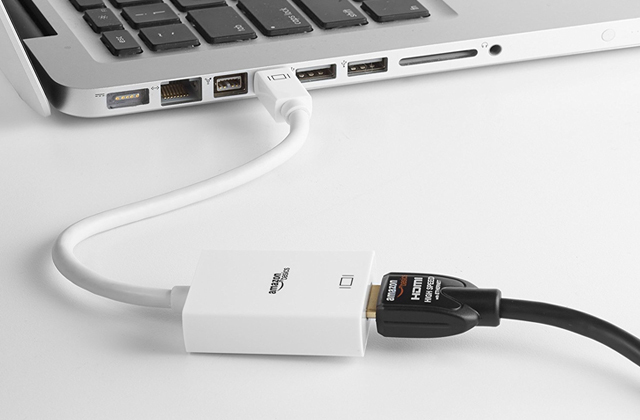 The patented power technology supplies power to the amplifier through the USB connection. This indoor digital antenna boasts an impressive degree of 15dB gain across the bandwidth of television broadcasting that allows it to strengthen the weakest received signal. 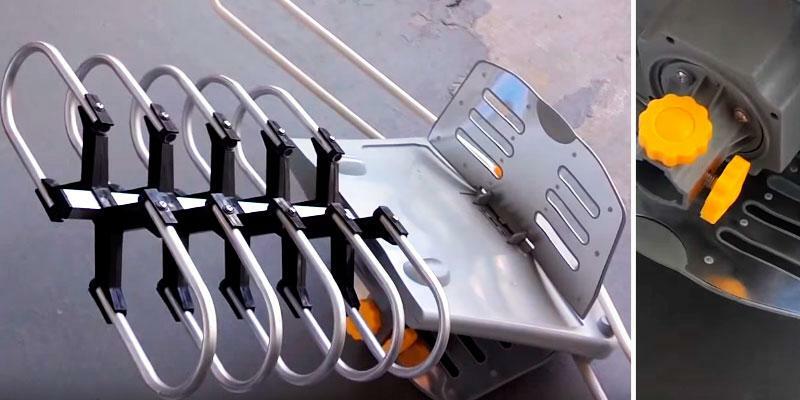 This digital antenna is capable of receiving the frequencies like VHF-Lo, VHF-Hi, UHF TV, etc. 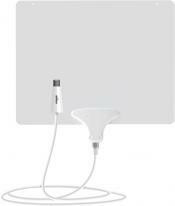 Shaped as a paper sheet, the Mohu Leaf 50 TV Antenna has the dimensions 1.8 x 12.5 x 11.5 inches and the weight 12.8 ounces. 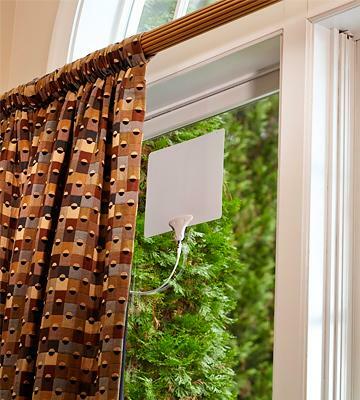 Thanks to the unique design, this paintable digital antenna can be fixed almost anywhere in your home - it can be easily put on to a window or on a wall. It will look great and complement the interior indeed. The 16 ft cable length is a record value among most TV antennas, allowing you to place it as far from the TV as you might need. The range is fantastic on this unit. The small size allows for easy mounting of the antenna. I really like the Mohu leaf easy to install nice length cable. 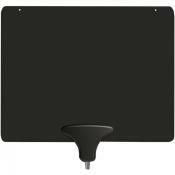 The BAM 4330082172 is an indoor HDTV antenna that combines high-quality with a very reasonable price. It is a very powerful device that receives video signals in the range of 60 miles. In order to simplify the use of this model and guaranty high-quality video to their customers, the manufacturer supplies the BAM 4330082172 with a detachable amplifier that allows for intensifying the signal and optimizing the reception. 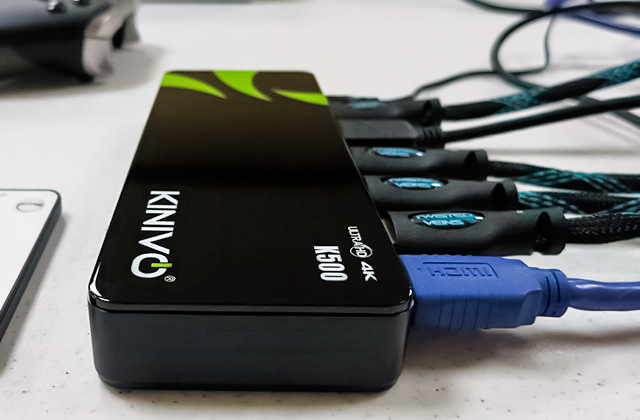 As for the power supply of the amplifier, you can connect it to your TV via a USB port or a US-standard power adaptor that comes in the box. The antenna is fitted with a cable long enough to reach a socket and the back of the TV-set; it also has a very stylish and slim design that allows you to mount it discreetly where you need it without any problems. And if you have any questions, there is a manual in the package with comprehensive instructions on its use. The advantages to this digital TV antenna is that it's so powerful it can easily pick some of the local popular channels such as NBC, FOX, CBS, etc and deliver them to a digitally-ready TV in a Full HD quality free of charge. The number of channels the antenna may catch will vary depending on the topography and weather in your area. 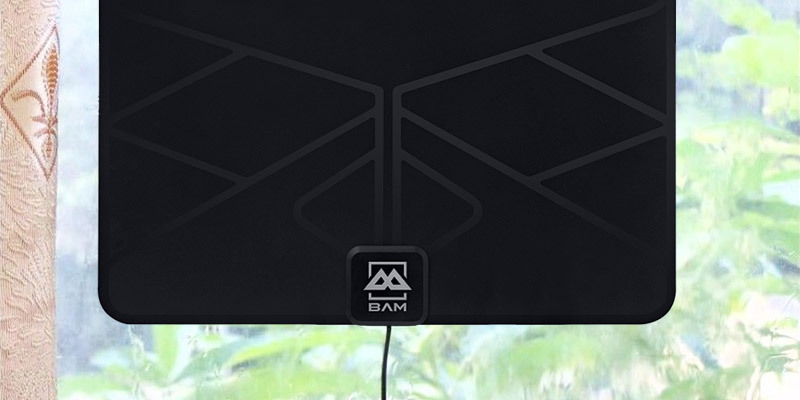 This BAM HDTV antenna is compact in size which gives you several options for mounting it. You can either mount it on a wall or locate it behind or under your TV, and it will look great there, thanks to its simplistic and at the same time modern design that fits perfectly any interior. Furthermore, the antenna is equipped with a long (20") coaxial cable that enables you to install it practically anywhere in your home without using an extension cable. 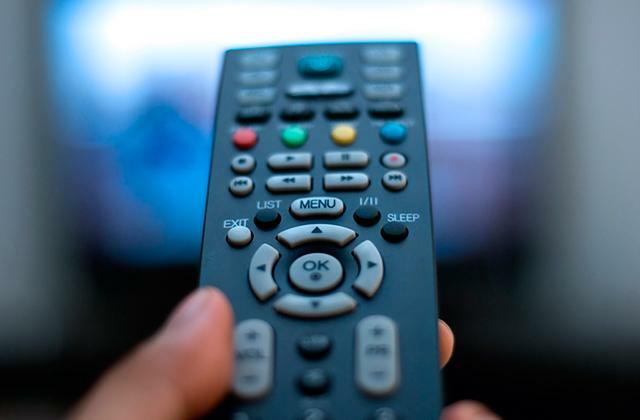 This may prove especially helpful for people who own several TV sets. Keep in mind, though, if you often change the position of your antenna, you may also need to rescan channels in order to ensure great video quality. 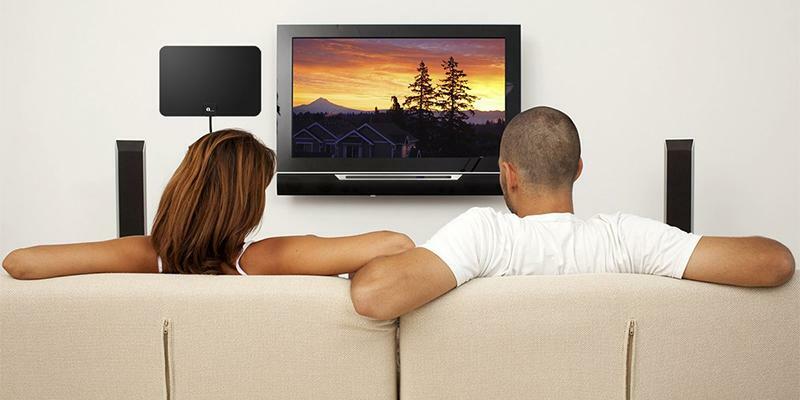 It comes as no surprise, the BAM HDTV antenna has become a favorite of many consumers worldwide. 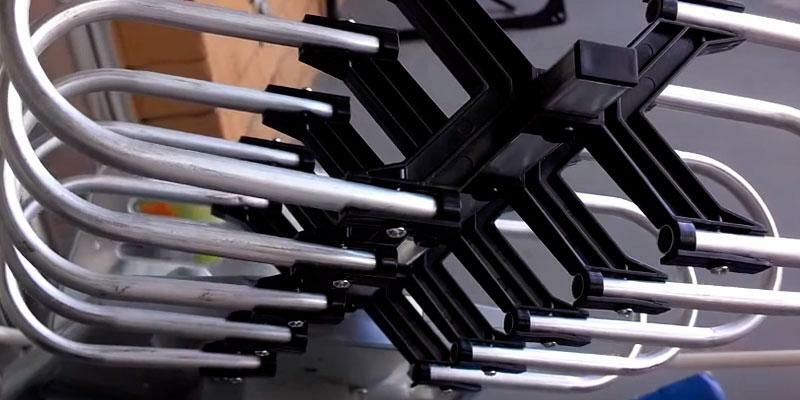 Not only is it solid, robust, and beautifully built, but it also has an exceptionally long range which allows it to pick many of HD broadcasts within a 60-mile radius free of charge. I've tried different antennas ranging up to 50 miles & still couldn't get a good signal. After I purchased the BAM Cables HDTV Amplified indoor Antenna I'm getting all my locals without any of them breaking up. I didn't even have to use the amplifier. I went from 62 channels with the roof mount to 72 channels with this indoor unit. What Is a TV Antenna? A TV antenna is a specialized device that receives a TV signal of analog or digital type which comes from the tower or satellite. 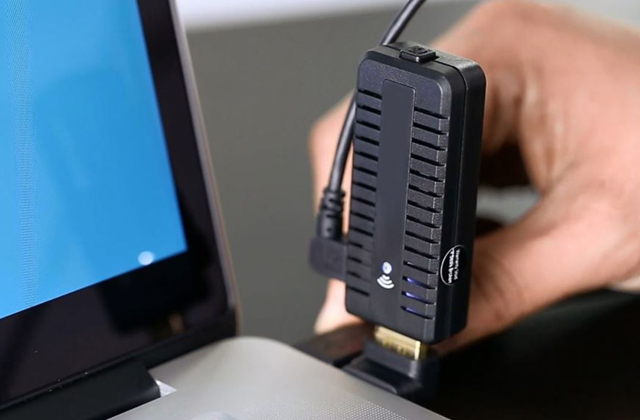 This signal is transmitted directly to your TV and then you get the actual picture on the screen and enjoy watching your favorite channels and TV shows. With modern digital broadcasts, the question is how to choose the appropriate digital TV antenna to process high-quality TV signals. In the digital antenna reviews below, we will comprehensively consider the 5 best digital antennas, helping you choose the best one. If you love traveling or you simply spend a lot of time at the wheel, a portable TV may become a useful addition to your journeys. Type and Modification should be considered first when choosing the best TV antenna. 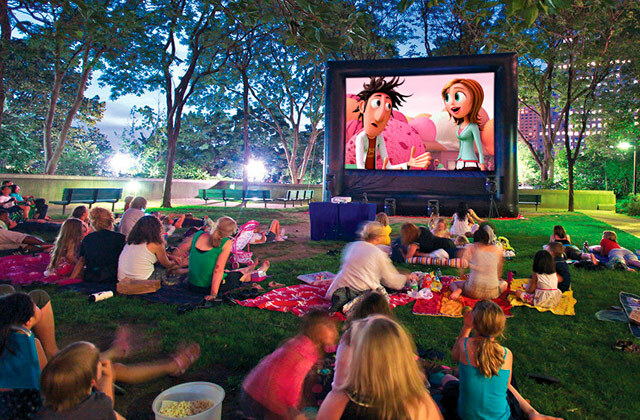 You can consider an indoor and outdoor digital antenna. 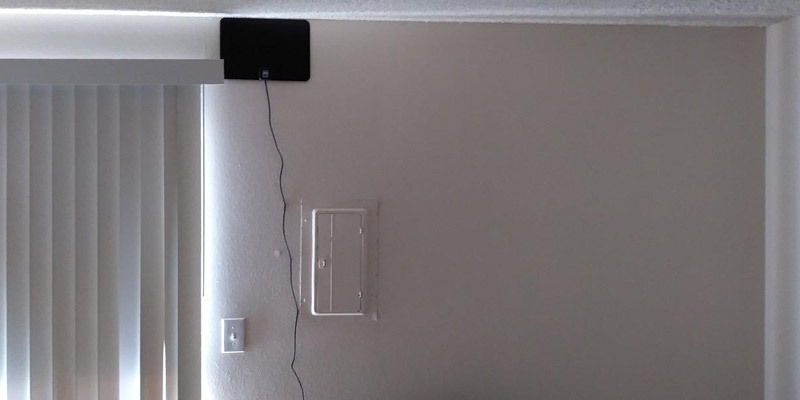 An indoor TV antenna is installed inside the building. Reception on the indoor antenna is possible only where the TV signal is strong enough - such places are called reliable reception areas. In fact, such areas are not too many. There aren't very many chances to get a high-quality "picture" in the village, in the country and other areas far from the broadcasting tower. Outdoor antennas can be used in most areas, including country houses and cottages. 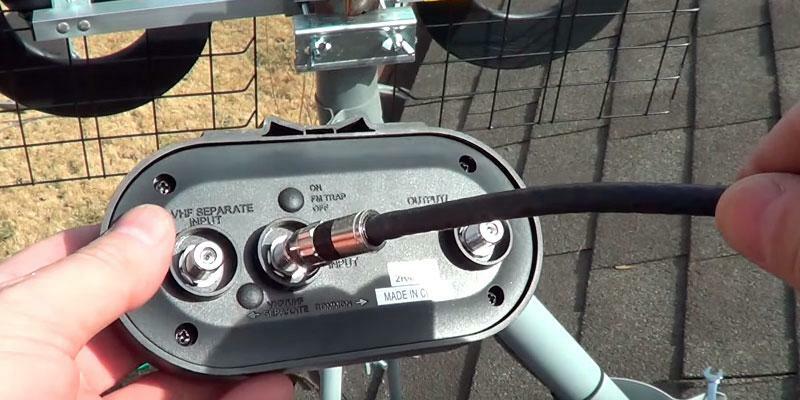 Installing an outdoor antenna requires significant effort and some experience, but sometimes it can provide a better quality of reception. This implies the next parameter to consider when choosing the digital antenna, the range of signal reception. To choose the best digital antenna to fit your needs, you'll need to know the distance at which you are located from the broadcast tower. Some digital antennas can receive the signal at a distance of about 50 miles, which makes them simply irreplaceable for those who live far from the tower from which the signal is broadcasted. Technical Specifications of a digital antenna should also be considered. One of the most important technical characteristics to pay attention to is the amplification of the antenna, also called antenna gain. It is measured in decibels (dB). The amplifier filters cell and FM signals and suppresses RF noise, providing better, high-quality reception of a broadcasted signal. The higher the value is, the better is the ability of the antenna to amplify the TV signal. Higher gain, however, is not enough for getting a better image. The digital antenna should also be installed in a proper location. The best digital antenna receives a free broadcasting of TV signals with high-definition images (such as ABC, CBS, NBC, PBS or Fox) and supports 1080p HD signals. It is also necessary to take into account the possibility of receiving the most common frequencies, such as FM, HDTV, VHF and UHF broadcasting. A very important parameter is the frequency response itself, as this directly affects the number of received channels. It's important to remember that for every frequency there is its own range of values. Connection and Installation is another important parameter to consider. Incorrect installation of the digital antenna reduces the number of channels you can receive and also leads to the deterioration of the video quality. 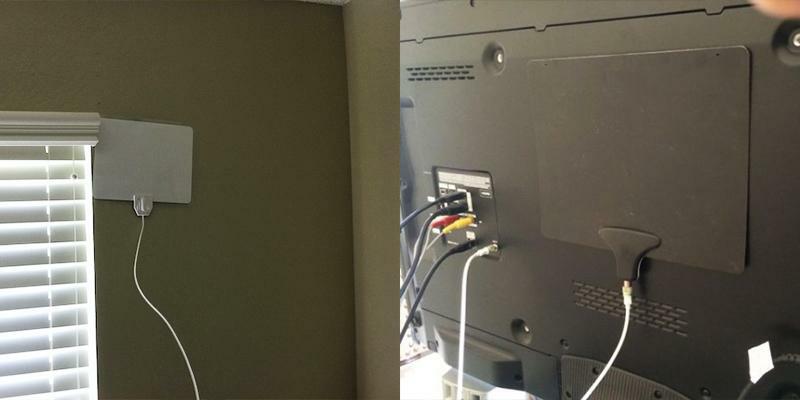 Then, the installed antenna should be connected to the TV. This is done by using a coaxial cable, which comes with most digital antennas. It is necessary to pay attention to the length of the cable TV antenna has. If the antenna is sold without any cable, or the cable isn't long enough, please consider buying the right one. TV antenna cables usually have wave impedance of 75 ohms. As a rule, this number is indicated on the product itself. It is also important to consider the antenna power supply (for models with amplifier), the antennas can be powered directly from the TV or from the network. Also, when installing the antenna, take account of its size and weight. 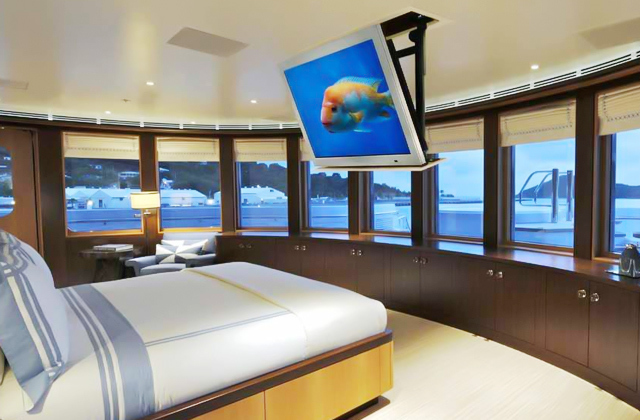 If the digital antenna is too bulky, it might be inconvenient to put on the window or on the TV, and it may slightly spoil the interior of your home. 1. Caleb Denison How to Pick and Place an HD Antenna for Free 1080P TV, Digital Trends. February 20, 2015. 2. Carl Laron How to Buy a TV Antenna, ConsumerSearch. January 05, 2017. 3. Matthew Torres All About Over-The-Air Antennas (OTA), Lifewire. April 26, 2017. 4. Antennas and Digital Television, FCC. November 5, 2015. 5. David Lipscomb How To Select a Digital HDTV Antenna, It Still Works. 7. Chris Woodford Antennas and transmitters, Explain that Stuff. March 5, 2017.